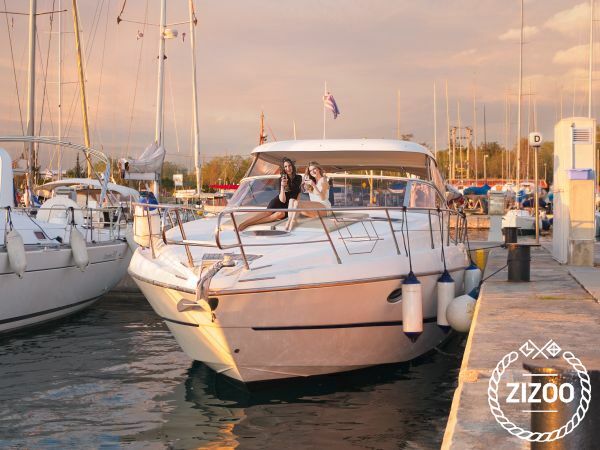 Private yacht charter - Affordable Luxury with style and quality Half day - full day- weekly charter or plan your own itinerary Best price guarantee Cranchi Smeraldo 37 is a beautiful boat that was completely refitted in 2013. Designed by Aldo Cranchi and build by Cranchi, Italy. This motor yacht is suitable for up to 7-8 guests and accommodates 2 cabins for overnight charter. Cranchi Smeraldo is a perfect yacht for both family or Couple. The prices includes skipper.